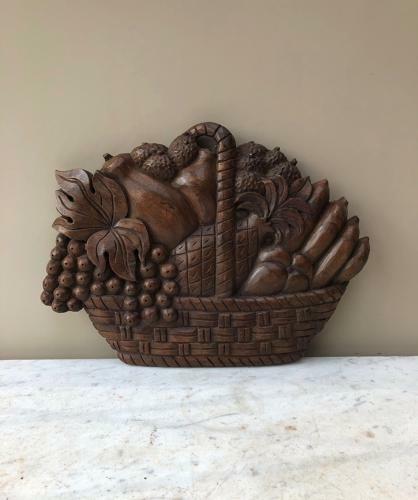 Wonderfully Decorative, Early 20th Century Large Treen Carved Basket of Fruit. Hand carved & in great condition - good colour. Loop at the top to wall hang.